The annual orchid festival is back at Kew and for the first time the theme is Colombia. Colombia has the most biodiversity in the world when it comes to orchids and you can get a little taste of this inside the Princess of Wales Conservatory. The different zones of the conservatory represent different aspects of Colombian wildlife, including animals, with a sloth, a turtle, a toucan and a jaguar all made of plants featuring throughout. 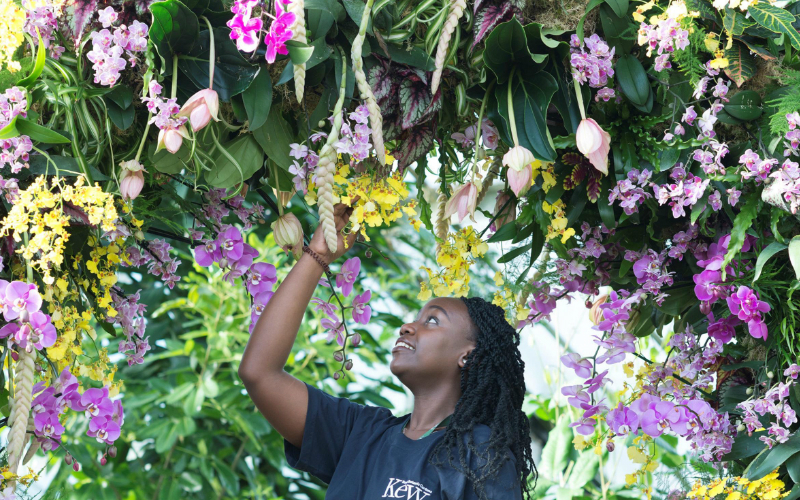 The Colombian national flower, the Flor de Mayo, as well as a cascade of hanging vandas (to represent the rainbow river) are just some of the 5700 orchids on display.